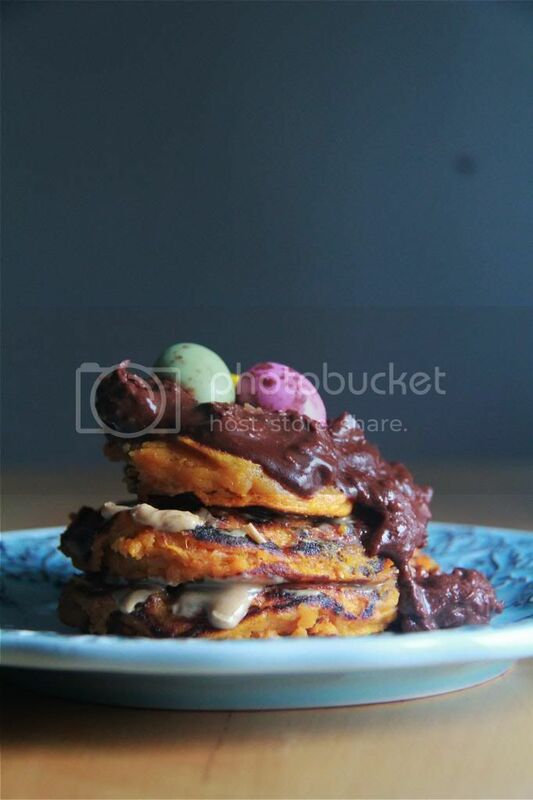 Crumbs and Cookies: honey sweet potato pancakes. It is extremely rare that I'm willing to work with an ingredient that requires such, well, work. I mean, you have to peel the dirt-covered skin of the sweet potato, chop it into manageable cubes, steam or bake them, mash them and then you're finally done with one component of your recipe. For someone who bakes on a whim, it's also unlikely that I would ever attempt recipes with ingredients like sweet potatoes. Yet, one Sunday afternoon, I decided to go through the laborious process of preparing some sweet potatoes for future use, the near future of course - you can't keep fresh ingredients like this for long. But anyway, back to these pancakes. Evidently the recipe is very minimalist which means that the quality of your sweet potatoes matters a lot. Frankly speaking my sweet potatoes weren't all that sweet so I added a tablespoon of honey to make up for it. Even if you feel that your sweet potatoes are sweet enough I would still advise you to add the honey because they're such a natural combination! The pancakes are quite dense despite the baking powder but it still definitely makes a difference, and you can't really taste the egg. 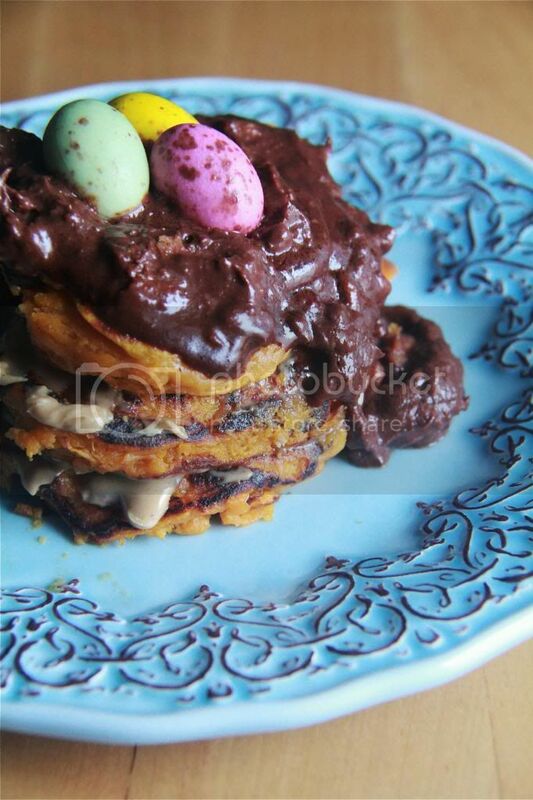 These pancakes are just sweet potato through and through. Sweet potato lovers may now rejoice. Pour a scant 1/4 cup at a time onto a heated skillet. Cook over medium heat for about 1 1/2 minutes on each side. Be careful when you flip the pancakes because they are quite fragile. Serve hot and I highly recommend that you do so with peanut butter! matcha adzuki chiffon cake sandwiches. white chocolate cranberry mocha macarons.